"Suits" is back for the rest of season 8. 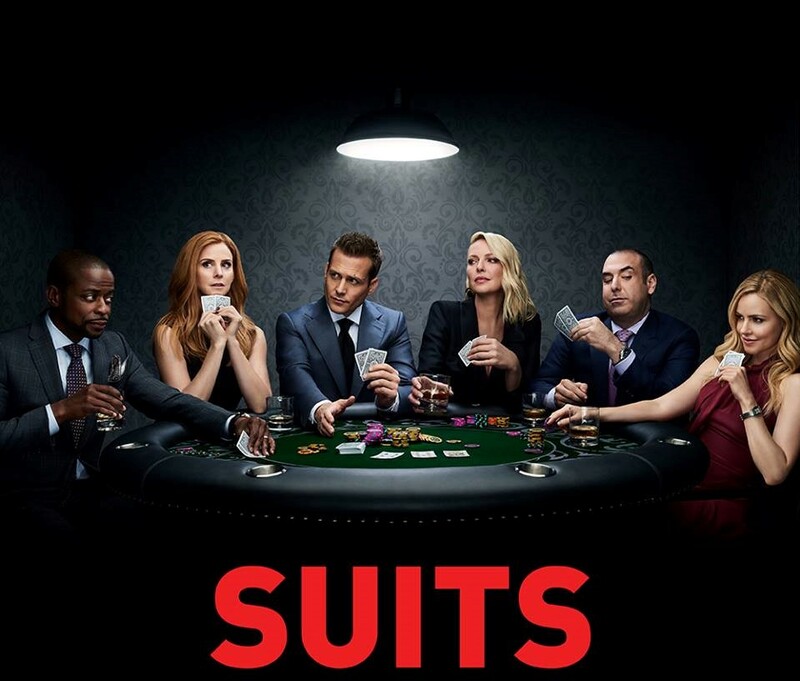 HOLLYWOOD—The midseason finale of the USA series “Suits” ended with Louis taking on duties as the firm’s managing partner, and Samantha and Alex being promoted to partner status. The return of the hit series on Wednesday is bittersweet. Why? News was announced on the same day of the return of the series that USA renewed the legal drama for its ninth and final season. Yes, that is correct; it is all coming to an end very soon. This was my biggest fear. I imagined the series would have some hiccups with the departure of Rachel (Meghan Markle), but after losing Mike Ross (Patrick J. Adams) I suspected the series might not be able to fully recover. I love the addition of Katherine Heigl’s character, but it seems the series has been going in circles with some of the storylines since Mike and Rachel left the show. The episode, ‘Rocky 8’ saw Harvey wanting to test Louis in his new leadership position. Louis the character that he is, indulged as the newest power player. Gosh, I love the character. Harvey was going to battle with a previous foe who was responsible for Jessica’s fall from grace. I don’t know what it is, but I’m not liking Donna anymore. It seemed like ever since she came into a power position, her character isn’t as likeable. Harvey was forced to drop the bomb to Louis that he was about to take a case that may not represent the firm in the best light. Frustrated with Alex, Louis stepped his foot back in the ring to take on a case that would best be for the firm and not Alex himself. There were some sparks between Donna and Thomas, but she didn’t respond well to the news that Louis was dipping his toe in other cases. Harvey was generating ire from a boxer who Harvey knew was lying, not to mention the fact that his mental state wasn’t that great. Harvey was building his case, and as we all know Harvey does not like losing. Donna spoke a bit of sense into Louis who wants to play lawyer versus manager, just as Samantha realized that Katrina is not the pushover that she expected. It looks like all the power players this episode are learning you can’t just walk over those who are below you. Robert and Harvey were at odds over Ricky and Jim, which led to Louis intervening to take over the case to assure the firm’s best interest. Louis came up with a genius idea to sue Jim Malick to knock out two birds with one stone. Louis was in shambles at the beginning of the episode, but he made amends with all the partners and employees by the end of the episode. Harvey may have won the battle, but it is apparent that Malick is out for blood. Looks like Harvey finally got the revenge he was after to honor his mentor Jessica Pearson. By the way, that sneak peek of the new series “Pearson’ looks quite interesting to say the least. Overall a tame episode, but I’m hoping things ramp up in the coming weeks. “Suits” airs Wednesdays at 10 p.m. on USA. Next articleMercy Killings Or Playing God?